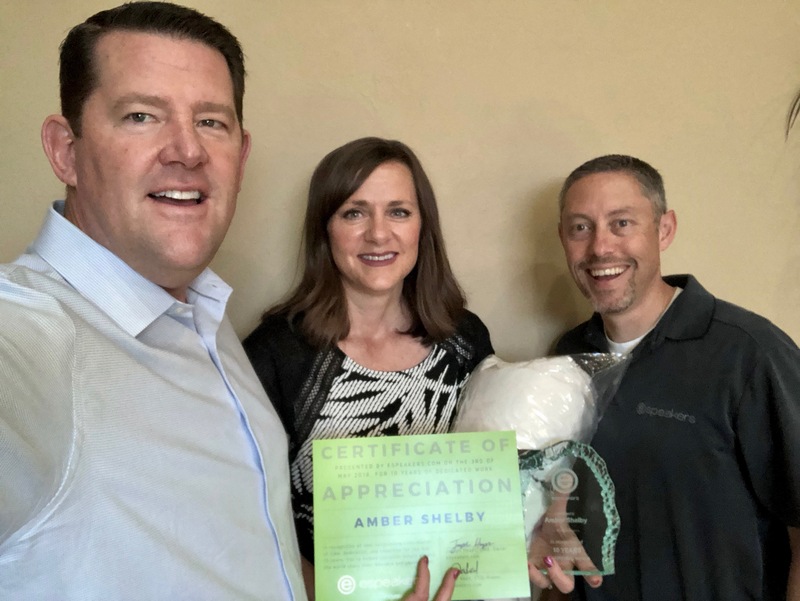 Congratulations to Amber Shelby who received the eSpeakers 10-year service award this month. Thank you, Amber, we appreciate your continued outstanding dedication to eSpeakers and our customers. We are lucky to have such a loyal and hardworking team member. A big thank you for being simply Excellent!